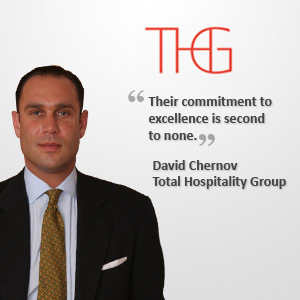 Total Hospitality Group (THG) is a hospitality vehicle that focuses on creating partnerships between international F&B and nightlife brands with regional clients in the hospitality industry. THG functions in many different capacities. We offer consulting, management and operational services depending on our clients’ needs. We also offer turn key solutions that packages everything from concept, design and licensing all the way to the handover of the project. THG has considered many cities around Asia Pacific but between the tax benefits, banking safety and security of Singapore, we found it hard to beat. I think we will be here for a very long time to come. THG plans to implement several concept and urban development projects across Southeast Asia, China and India. We also plan to open offices in New York City and Mumbai as well as to develop the THG Investment Fund, an initiative that will provide like-minded investors with an exciting portfolio of proprietary investment opportunities in our core geographies. I can’t say enough about Rikvin. The staff is not only extremely polite and friendly but one of the most knowledgeable as a whole. Their commitment to excellence is second to none. If you’re not using Rikvin, you are at a disadvantage in Singapore’s professional world.